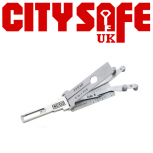 Genuine Lishi tools are trusted by professional locksmiths around the globe because of their unmatched quality and overall design, and the Genuine Lishi 2 in 1 tools are the perfect example of just that. Manufactured in factories audited and monitored by UAP TradeLocks, each Genuine Lishi Direct Reader tool is produced under the strictest quality control standards. It is ensured that each tool is of the highest quality and manufactured with precision, and with strict quality control each tool is able to come with a LIFETIME GUARANTEE against any manufacturing defect. 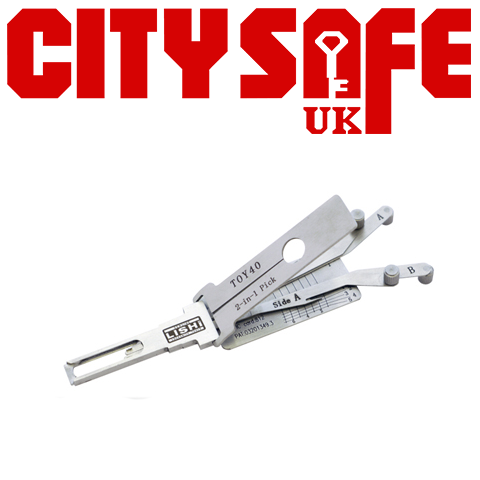 Please note, this doe not cover standard wear and tear or damage to the Lishi tool occured due to misue, but it does ensure that the tool you get will be manufactured to perfection. For more information about how to use Genuine Lishi tools, or to find which vehocles a tool will pick and decode, please visit www.GenuineLishi.com.